Hey guys!! ahh, it’s been too long! I’m so sorry I’ve neglected my poor website. I have been super busy with school and working on my own fitness. Anyways…because it’s beautiful fall now, I thought I’d celebrate my return with an awesome recipe inspired by the season! These oats are superrr creamy and rich & very filling! I ate double this serving size and was extremely full so I lowered it down to half the serving size which is still a lot! But they are so tasty, you will have no problem finishing the bowl! Directions: Combine almond milk oats and salt in a medium sized microwavable bowl and microwave for 1:40-2:00min or until oats have reached your desired consistency(you want them a little runny since you will be adding pumpkin and PB). Next stir your pumpkin into the cooked oats, add your spices & sweetener, top with maple butter and pecans! Stir just before digging in. Enjoy your beautiful fall breakfast! Omg, omg, omg I cannot believe how good this cake tasted. Like honestly it tastes way better than the picture above. It doesn’t even begin to do it justice. When I tasted this new recipe I was like okay..did someone trick me and replace all of the ingredients with a pile of butter, sugar and white flour? What’s going on here? That’s how delicious this quick cake for one is. It’s also topped with virtually sugar-free caramel sauce(it tastes delicious,no joke) and pecans. Seriously if you love chocolate cake just go out right now and get all of the ingredients for this. You will be amazed. And guess what? This cake contains 15.5g protein! For the whole cake plus caramel and pecans it’s a mere 234 calories. This cake is so healthy you can eat it for breakfast or dessert everyday and never feel guilty! You have no excuse to deprive yourself of chocolate or cake anymore! Alright, now that I have finished being extremely enthusiastic I will finally give you the sacred recipe to this decadent chocolate cake… Take me to the recipe! Happy almost Easter Everyone! I hope you all are excited for the long weekend. What are your plans? For me Easter is always spent with my grandparents at their farm. I love it there and I get to see all my cousins, aunts and uncles as well. It’s a long drive to get there and we are leaving super early tomorrow (yes I know I should get to bed). So instead of going to bed on time I of course decided to create a breakfast that I could just eat on the road tomorrow, already pre-made. But what I wanted was for my breakfast to include some kind of veggie but be sweet and delicious at the same time..and thus, the Green Monster Breakfast Bars were born. Sorry, no hiding the vegetables in these. The pops of green spinach stick out all throughout these tasty bars. But have no fear, the taste is one thing that is hidden! The ripe banana takes over and lightly sweetens the bar. It also keeps them chewy and moist. These bars are an entire nutritious meal in one and are amazing for on the go or if you want a fast simple breakfast. They are also very filling and packed with protein! (15g to be exact). If your morning needs a boost try these awesome Green Monster Breakfast Bars. Take me to the recipe! Why did the banana go out with the prune? Because he couldn’t find a date. Get it?? 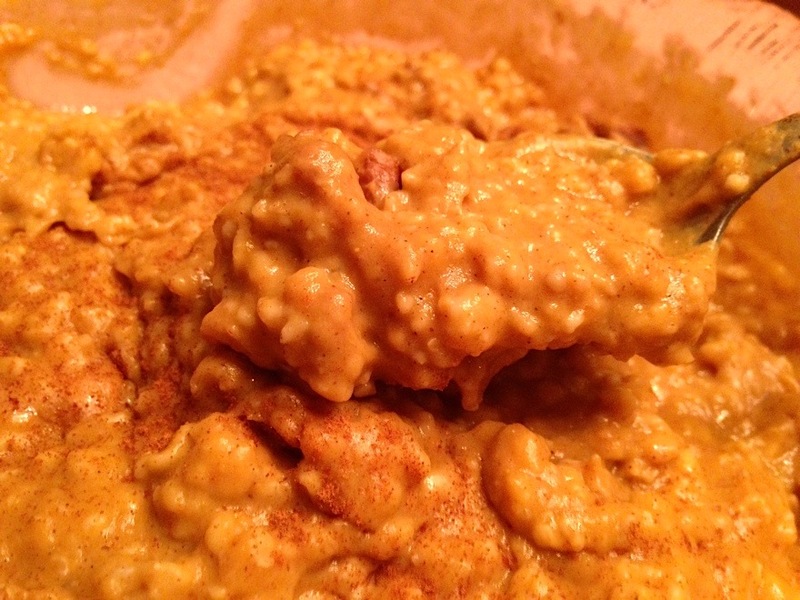 Okay I admit that was awful…, but this Banana Bread Oatmeal sure isn’t! I couldn’t wait to dig into this after taking the pictures. I don’t know anyone who actually dislikes banana bread. If you do then..you should just leave immediately (just kidding! maybe..) Banana bread is like a staple in my diet and I can only go so long without it. So after making some Healthy Banana Bread for dessert, I decided, why can’t I make it a part of my breakfast too? And thus, the Banana Bread Oatmeal was created. Take me to the recipe! 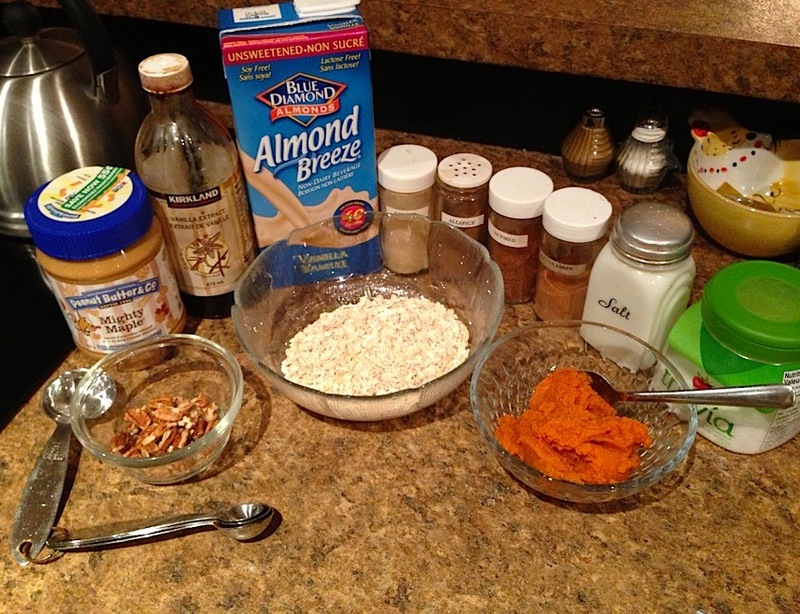 March 3, 2013 by sammysamgurl1 Comment on Healthy Maple Butter Oatmeal! Please ignore the lack of pictures and quality! This morning turned out to be a mad rush to find a camera to take a picture of my oatmeal with. My good camera usually lasts for ever in battery life but of course it eventually has to run out and it chose today to do so! I also eat the oatmeal right after taking a picture so I’m obviously in a rush not to have cold oatmeal. This is why I ended up grabbing the easiest thing, my phone to take a picture. So although the picture is not very good, I guarantee you the oatmeal is! I was almost going to take a picture tomorrow just so I could make it again haha but I promised you all a new oatmeal recipe almost everyday! Anyways, onto the oatmeal. This recipe doesn’t actually contain “maple butter” per say but it does contain everything to make it taste just like maple butter! It is like eating a big melted oatmeal cookie! And who doesn’t love that for breakfast? Take me to the recipe! Good morning everyone! I hope you all had a good night sleep, if not well then not to worry, I’ve got a breakfast that will brighten up anyone’s day! It’s made with healthy ingredients that will keep you on track to a better lifestyle but will have you astounded at how delicious eating healthy can really be! Like coconut? Love banana? Then this is for you! I love french toast so I decided I would try a new variation this morning with coconut milk and a warm banana sauce. It turned out great! Try it out if you don’t believe me! 🙂 Take me to the recipe!